So since I have spent the last couple of weeks completing a ton of content for FusionFall, I thought I would take a break and check out the new Warlords Online this morning. In case you missed it (and you might have), Warlords Online is a free-to-play, browser-based puzzle game MMO from the people who made the awesome Puzzle Quest, Infinite Interactive. It just launched last month, and when I went to set up an account this morning, here's what I found. Looks like they still have a few "kinks" to work out! Warlords Online is currently offline due to maintenence. We apologise for this inconvenience and hope to have it back online once we fix existing problems with the game. Oopsie, doopsie! Well, here's hoping they get their issues worked out. 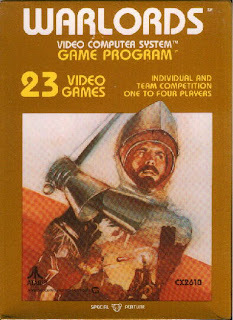 In the meantime, maybe someone can make a Warlords Online based on the old Atari game instead. That would be gnarly.